The Firebird is an exciting one-hour dance special based on the mystical Russian folk tale of enchantment and love, and is set to Stravinsky�s fantastical ballet score. This adaption of James Kudelka�s masterpiece for the stage combines classical ballet with magical visual effects. Kudelka�s choreography is by turns elegant, virtuosic but always passionate and musically evocative. 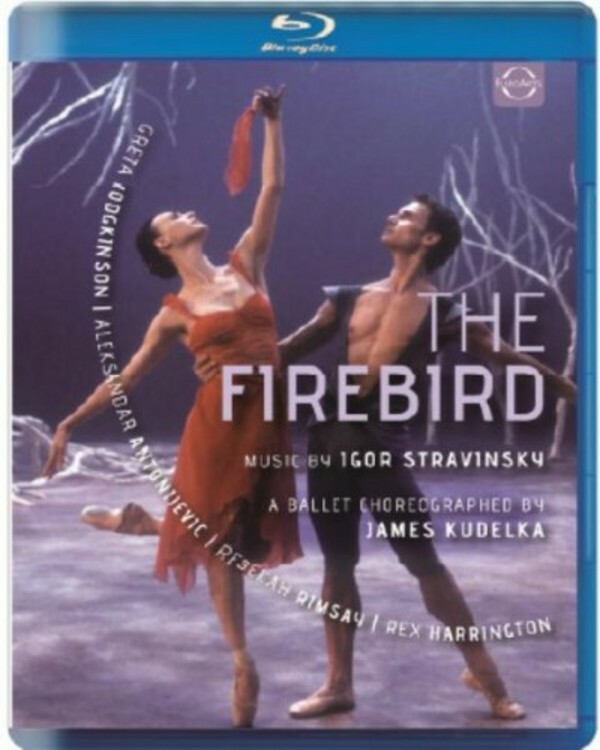 The Firebird features the top dancers from the internationally renowned National Ballet of Canada and the soloists include the great Greta Hodgkinson (nominated for the Prix Benois de la Danse in 2000) in the main role, Aleksandar Antonijevic as Prince Ivan, Rebekah Rimsay as Princess Vasilisa, and the unforgettable Rex Harrington as Kastchei the Demon.